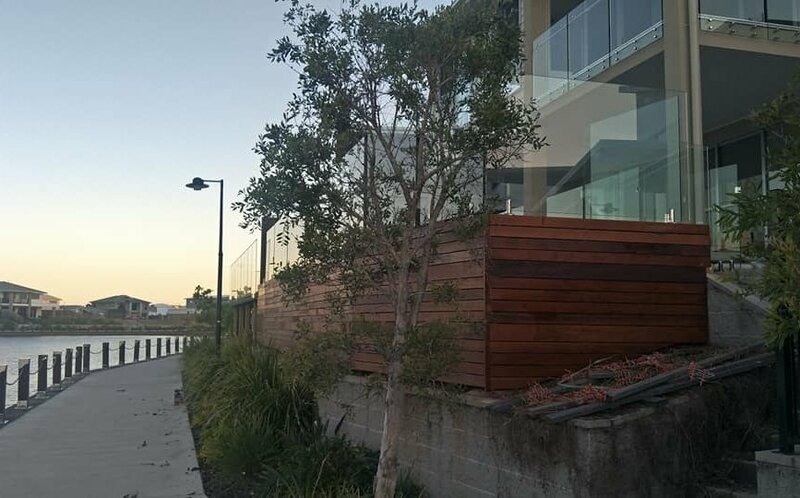 With its outlook over the canal, this pool deck was a great opportunity to showcase the Kwila timber used, enclosing the sides and providing a very attractive frontage to the canal. 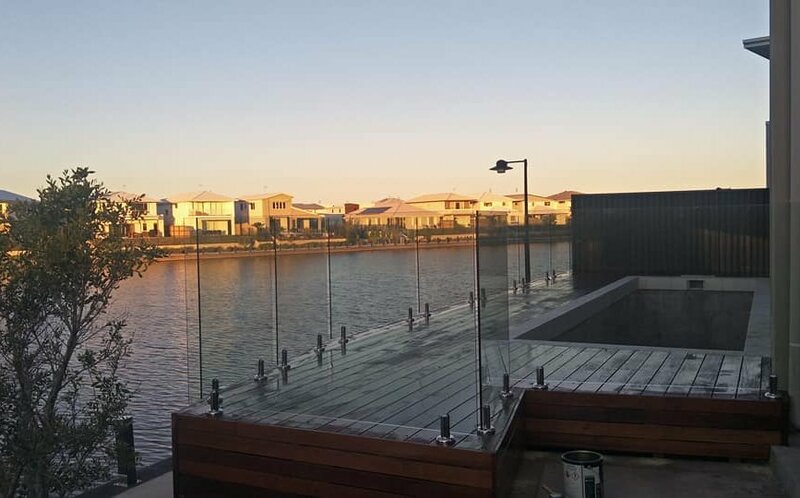 One benefit we find in doing both pool fencing and decking is giving peace of mind. 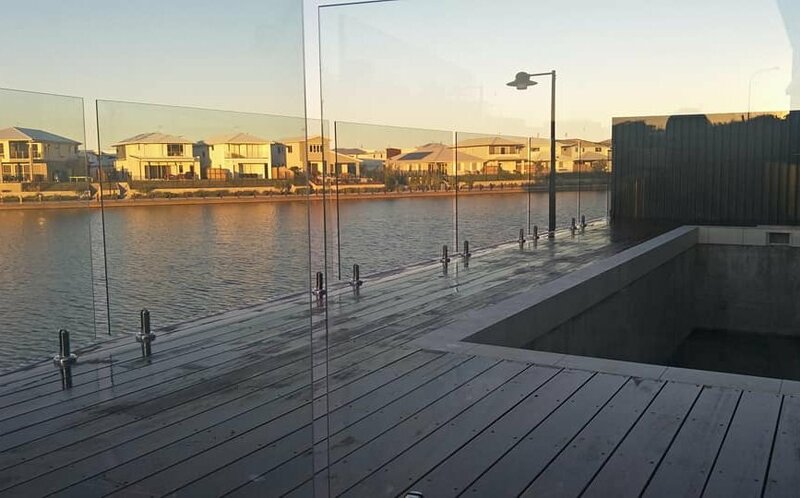 Being able to account for the glass pool fencing spigots in the positioning and construction of the framing provides both a sturdier and better looking finished product, as well as reducing the overall time to completion of the project. Stainless Steel screws. 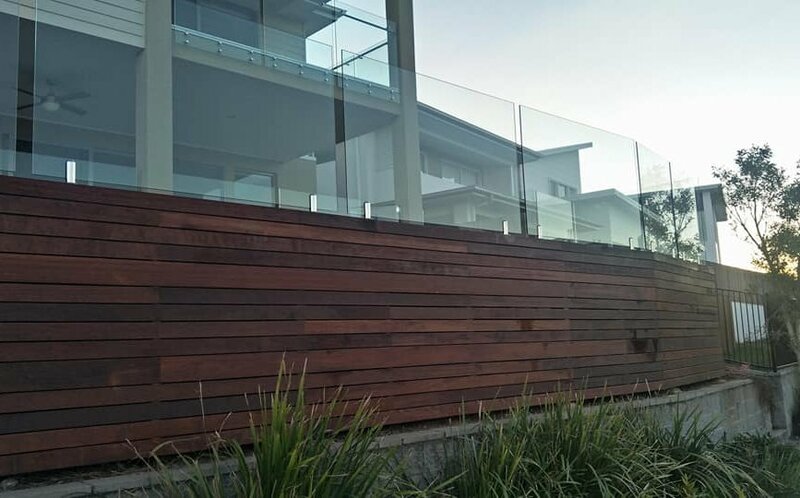 Kwila 140x20mm boards. Cutek oil. 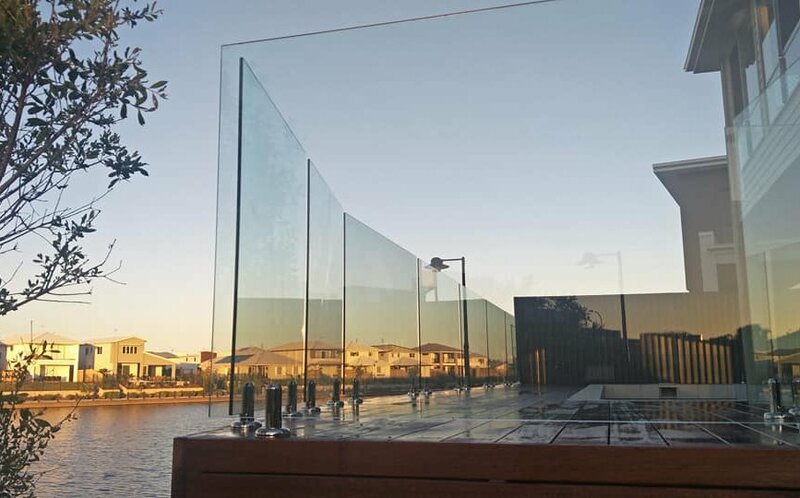 Glass frameless. Stainless Steel spigots.